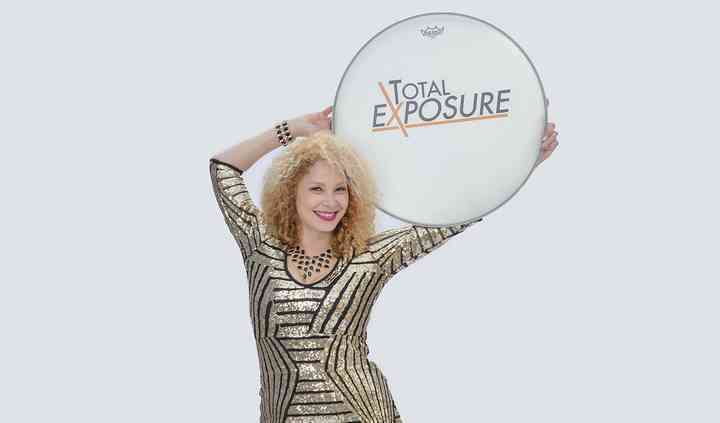 TOTAL EXPOSURE PARTY BAND is your ultimate party band with the ultimate party experience. We are a thirteen piece, three hours nonstop, high energy, Atlanta based corporate band affectionately named Total Exposure. 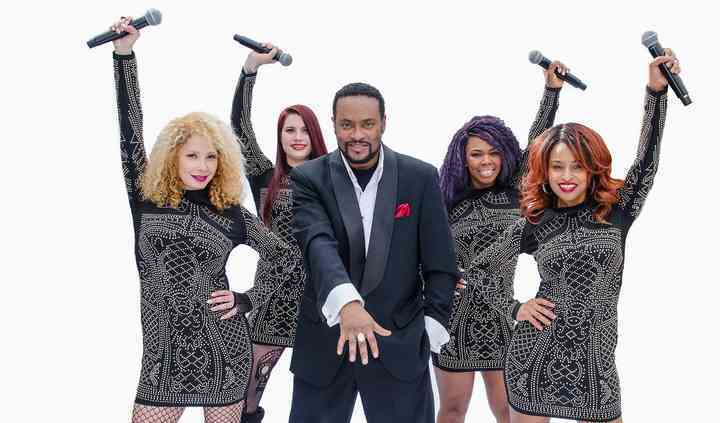 We have seasoned musicians from our drummer Sheryl who has experience playing for President Bush Senior, to our front line that consist of three beautiful and talented female singers gathering experience singing with R. Kelly, Pink, and Gloria Gaynor. We also offer two handsome male singers who have sang with The Temptations, Baby Face, Bobby Brown, TLC and so many more national recording artist. We offer the icing on the cake with our famous horn section " The Total Exposure Horns" who have played with the legendary Gap Band. 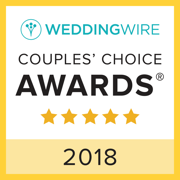 Collectively Total Exposure offers a dynamite show with an electric lighting show wether you want an intimate wedding setting, or concert lights. We also hold the high standard of two costume changes revolving around your chosen party theme, and dynamic choreo from our well known dance instructor Andre Ross of In Sick Affairs where our professional performers not only entertain you, but invite the audience to join us on the dance floor giving them a night to remember. Your special engagement will be a roller coaster ride of entertainment with songs from Earth Wind and Fire, Kool and The Gang, Al Green, Bruno Mars, Beyonce and beyond. 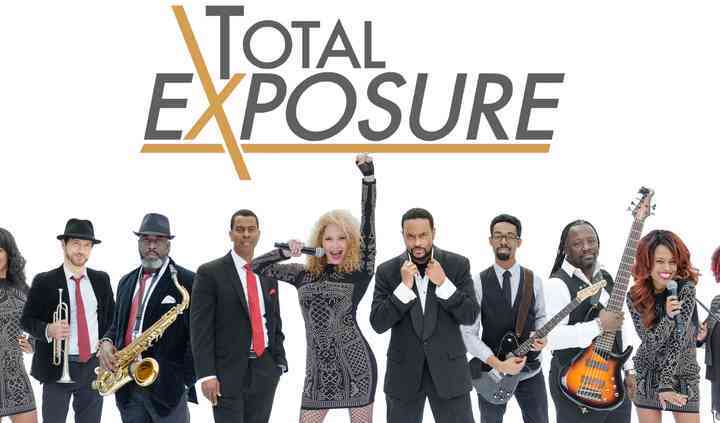 Total Exposure is honored to give you the Total Exposure experience from MoTown, Standards, Big Band, Swing, Country, Reggae Oldies, Disco, R&B, Pop, Classic Rock to Top 40 and anything you request in between and MORE!!! Be it your wedding, corporate event, country club, Christmas party, festival, private event, debutant ball, charity, or fundraiser we will ensure the Total Exposure party experience. We'll see you on the dance floor ! We offer a 10 piece band with -Sax. We offer a 11 piece band with - Sax and Trumpet. We offer an 12 piece with band - Sax Trumpet, and Trumbone. We offer a 13 piece band with - Sax, Trumpet, Trumbone, and Congas. A smaller band size is also an option upon request. We also offer DJ services for the after party. Ask them if they can sing the daughter father dance and mother son dance live. Read more Ask them if they can sing the daughter father dance and mother son dance live. What a awesome band. Very professional and lots of Energy. I would definitely recommend this band for any Event. Read more What a awesome band. Very professional and lots of Energy. I would definitely recommend this band for any Event. Lauren and the Total Exposure Band were excellent to work with. Very professional! They put on a wonderful performance during our corporate dinner. They engaged with the audience and make a great ... Read more impression. Hope to have them back at another event! Thanks for the endorsement watched several of your videos very entertaining very good vocals would endorse you to anyone of our clients. A great and professional vendor to work with!